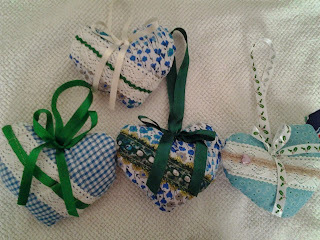 I make lots of these , some for myself to hang on wardrobe doors and cupboard handles, some to give as gifts. Some have lavender inside them, and these I put inside wardrobes and drawers to scent my clothes and bedding. 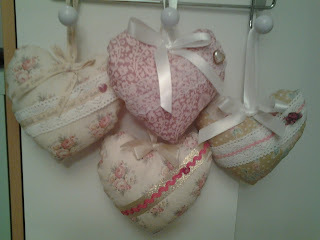 They are really simple to make and you can use up your odd scraps of fabric and lace. 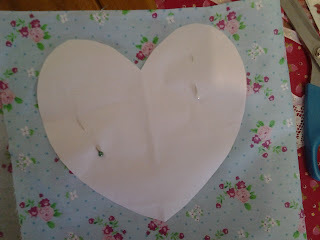 Of course, you don't have to make hearts, simple bird shapes work well, as do stars - I am sure that you have your own ideas. 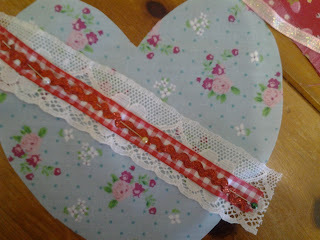 Then get your lace and ribbon scraps and decorate one heart however you like. 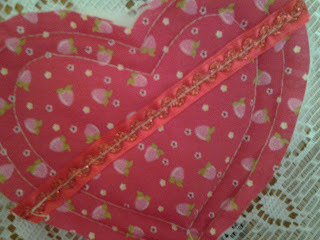 Stitch it all in place firmly. This one is quilted, easy to do by placing a piece of wadding on the back of one heart and stitching a design onto it any way you like. When you are happy stitch the front to the back leaving a small gap to turn out. Clip all the curves and turn right side out. Neatly stitch the opening to close the heart. There are lots of different ways you can decorate your hearts, add flowers, buttons, whatever you like in whatever colour you like. And there you are. 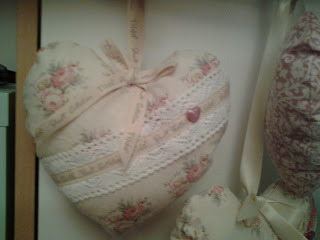 You can make one of these in less than an hour for no cost whatsoever if you are using up your scraps. 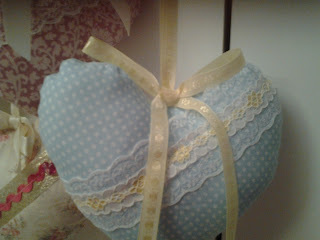 As I said, whenever I need a quick gift I make one of these in less time than it would take to go to the shop and buy something! 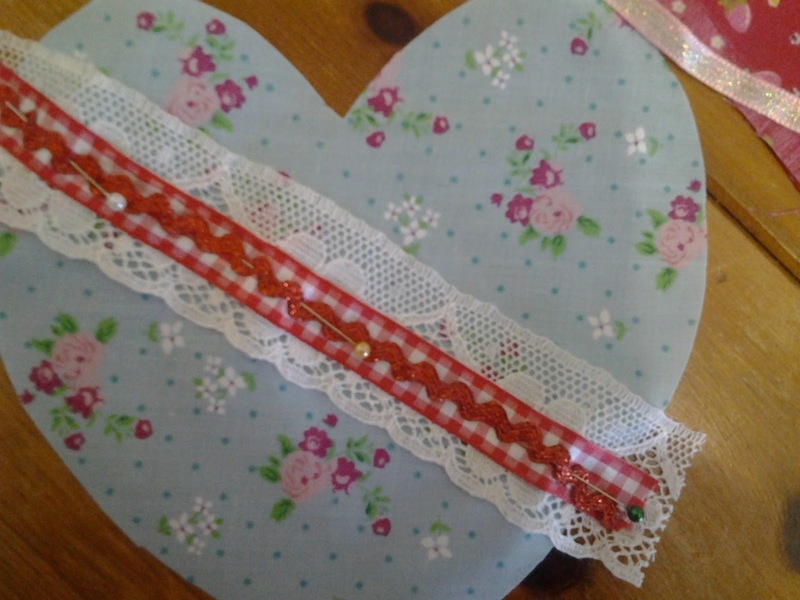 Do have a go, they are really ideal for people new to sewing, and perfect to use up odds and ends of lace and ribbon.